There are few places right now that have the electricity and the energy that is flowing through the city of Shanghai. Perhaps you’ve seen pictures of the incredible skyline that’s sprung up in record time. It’s futuristic and sleek: right out of a science fiction movie. If there is a place to be in the 21st century, it feels like it’s on the streets of Shanghai. 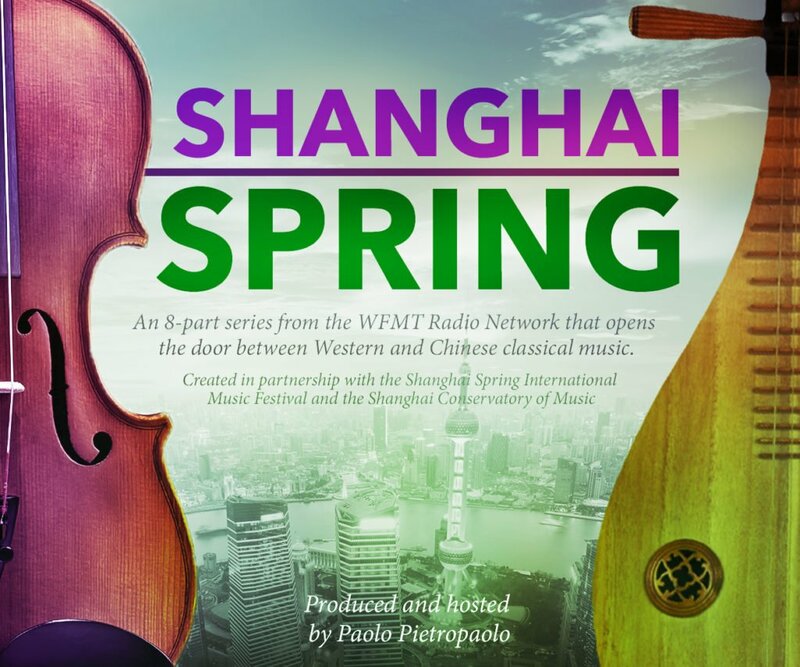 In 2015, I was lucky enough to attend the Shanghai Spring International Music Festival at the behest of the WFMT Radio Network. When I came back, I rolled up my sleeves and got to work on Shanghai Spring: an 8-part radio series about classical music in China featuring concert performances from Shanghai and mini-documentaries about life and music in the city. On Shanghai Spring, you’ll get a front row seat at the Shanghai Spring Festival and get a look at bustling Shanghai in all its glory. You’ll also be transported to rip-roaring, cosmopolitan 1920s Shanghai, when the seeds of Western classical music began to take hold in China. And you’ll get a glimpse of Chinese culture, beyond dragon boats and fortune cookies — a chance to see the real China through the lens of classical music. Part 1 airs this Sunday on my CBC Radio 2 show, In Concert, and you can also hear it here.